Newton Road Cemetery is located at the top of Newton Road, Rushden, NN10 0HJ. The Cemetery is open every day 7.00am - 9.00pm from the 1st April - 30th September and 7.00am - 7.00pm from the 1st October - 31st March. 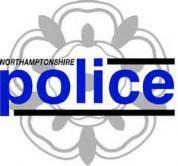 Vehicular access is restricted to disabled persons and authorised vehicles only until 4.00pm. The site at Newton Road has been used for burials since late 1880. 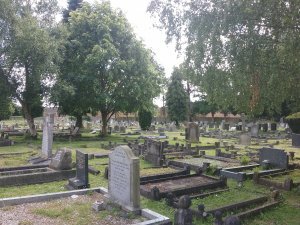 This Cemetery was originally managed by Rushden Urban District Council and was then taken over by East Northamptonshire District Council. When Rushden Town Council was formed in 2000 they took on the management of the Cemetery. We hold all the burial and grave purchase records since 1887 and these are available for public inspection. We also have a database which contains all recorded burials and we do receive a lot of enquiries from people wishing to locate relatives graves. 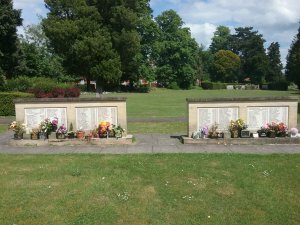 Rushden Town Council manage the purchase of all graves within the Cemetery and are also responsible for the administration of burials. Contractors on behalf of the Council undertake the grounds maintenance work. A member of staff is usually available in the Cemetery, should you require any assistance, from 7.30am until 4.00pm Monday - Thursday and 7.30am until 1.00pm Friday. If you would like any further information about Newton Road Cemetery, please contact Rushden Town Council on 01933 316216. Please Note: Viewing of the Burial Registers is by appointment only. Information on the Memorial Walls, Newton Road Cemetery, Rushden. HTML5 validated. WCAG compliant. Page generated in 0.0824 seconds.